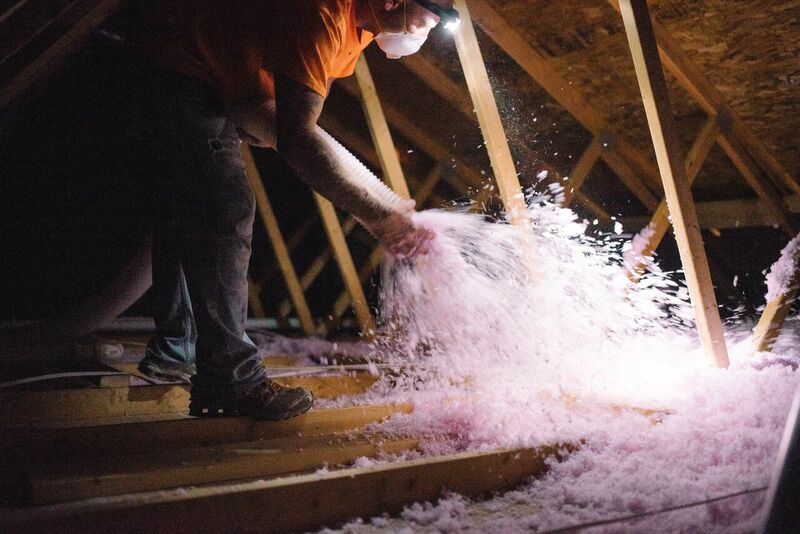 Blown-in insulation is a combination of cellulose, fiberglass, and mineral (rock or slag) wool. Small particles come together in this process and conform to any space without disturbing the already-finished structures. Depending on the type of blown-in insulation you select, the R-value/inch will vary. The measurement of material is critical to proper and effective installation. That’s why it’s so important to hire a trained professional installer from Kinzler Construction Services. This type of insulation is ideal for enclosed existing walls or open new wall cavities, unfinished attic floors, and other difficult-to-reach places. Though sometimes poured into the necessary place, blown-in insulation is just that—blown in. Kinzler Construction Services has the experts to install your blown-in insulation. Contact us today at 888-292-2382 to learn more!